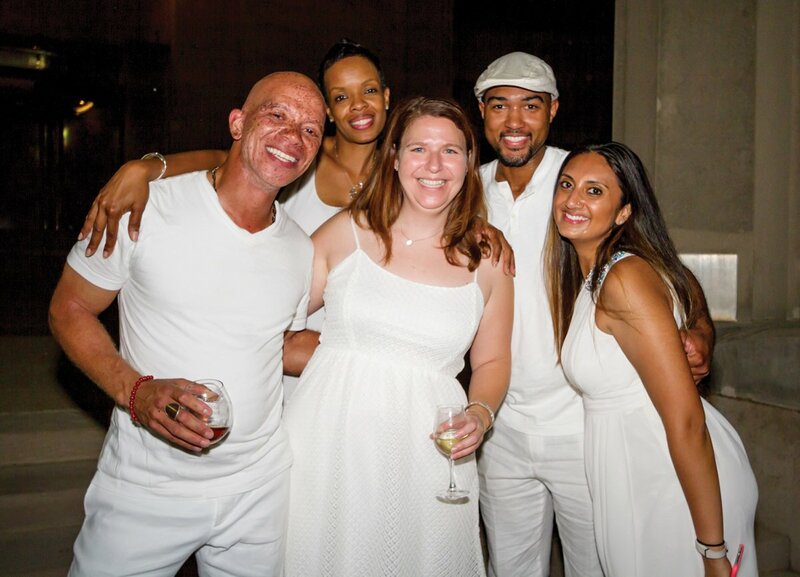 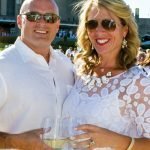 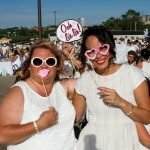 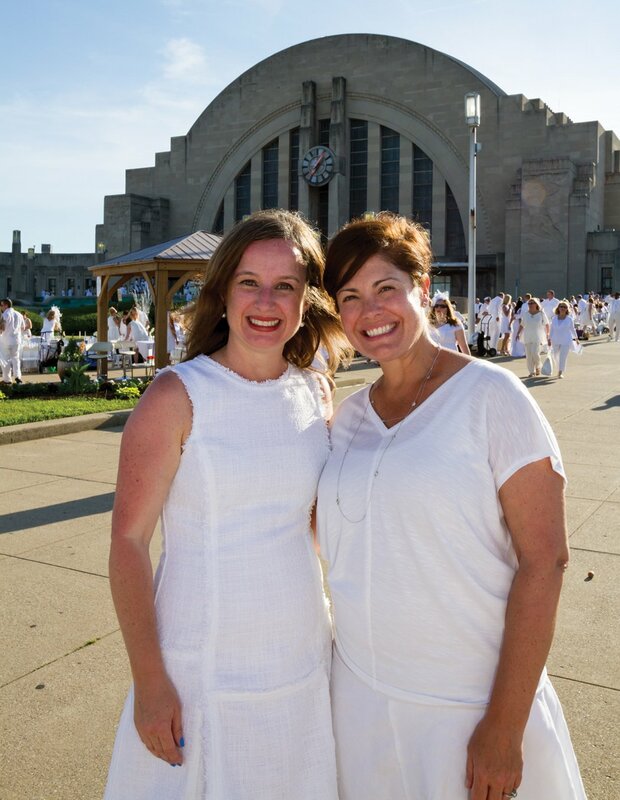 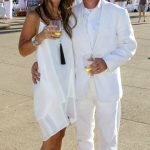 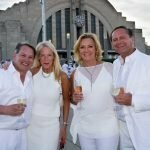 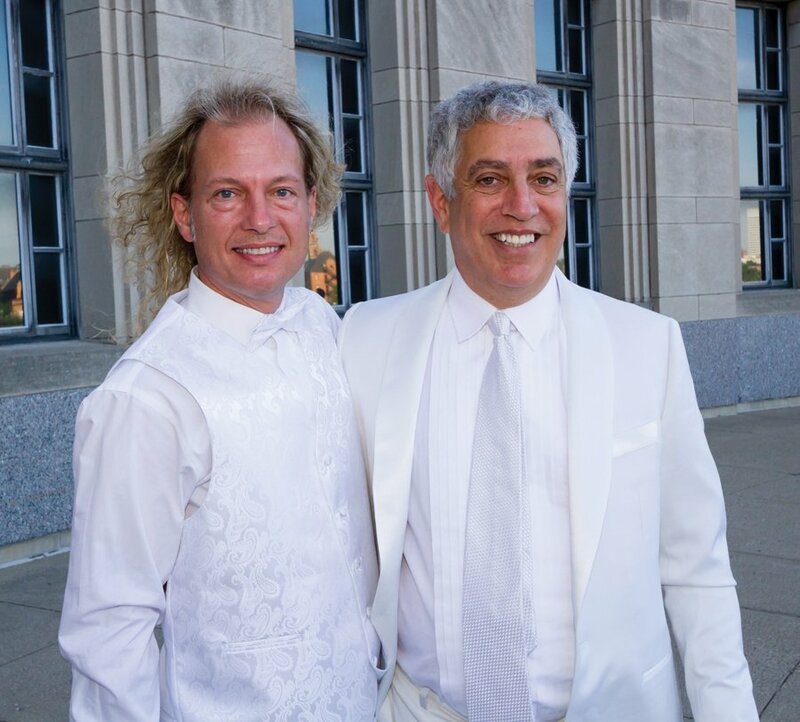 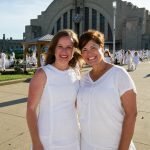 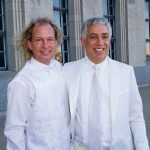 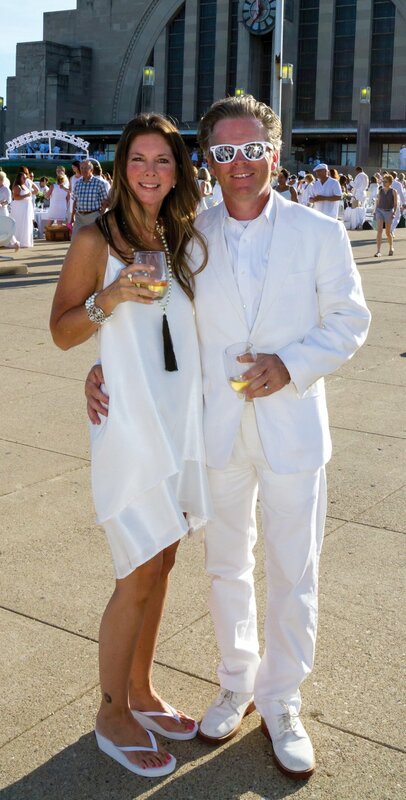 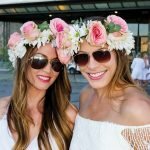 The epicurean phenomenon, Dîner en Blanc, drew more than 2,500 guests to this year’s secret location, the grounds in front of Union Terminal. 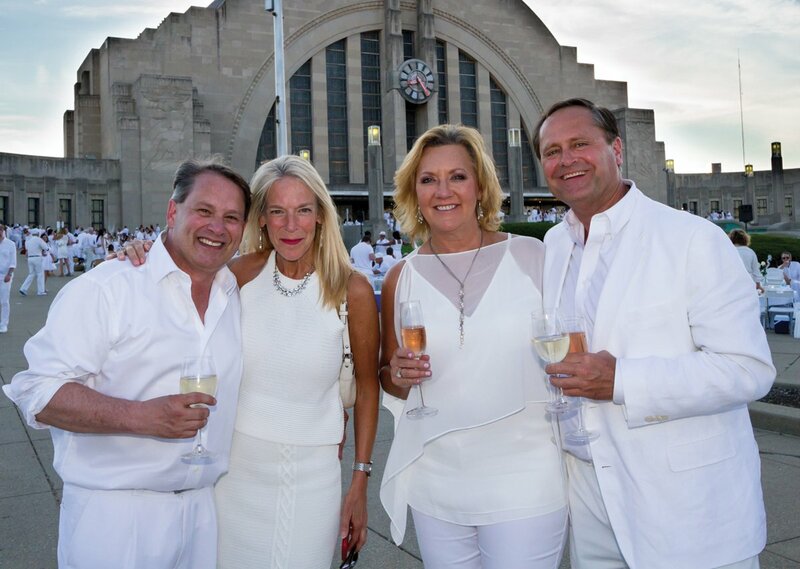 The art deco masterpiece offered a fitting backdrop for photos, dancing, dinner and, of course, all-white everything. 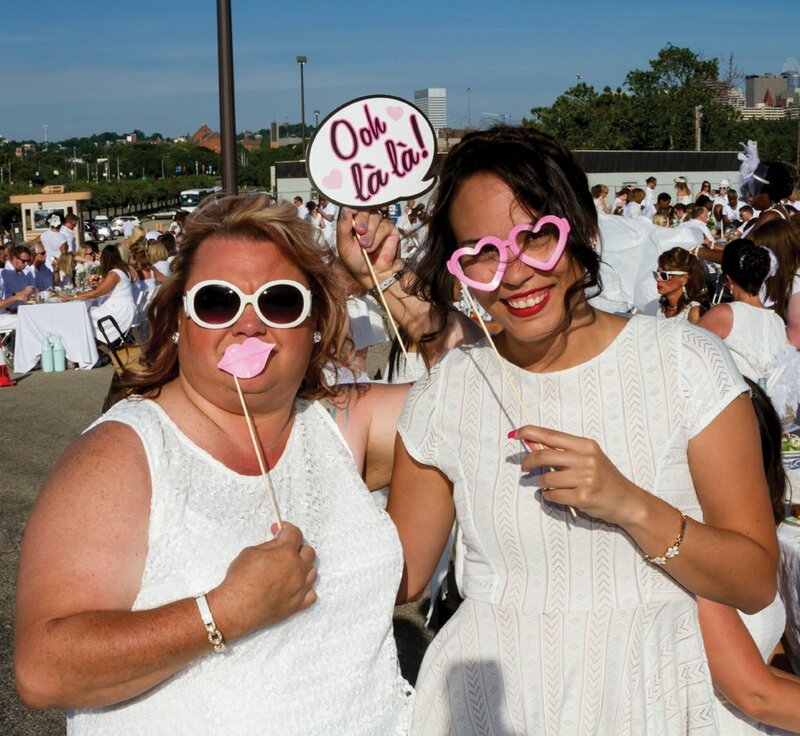 Since its inception in Paris in 1988, the annual event is becoming a tradition in cities worldwide. 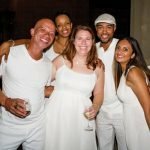 While the size and the technology have changed over the years, the principles fueling the event have not: Guests are to dress in elegant and white-only attire, and provide their own table, food and drink, white chairs, tablecloth and dinnerware. 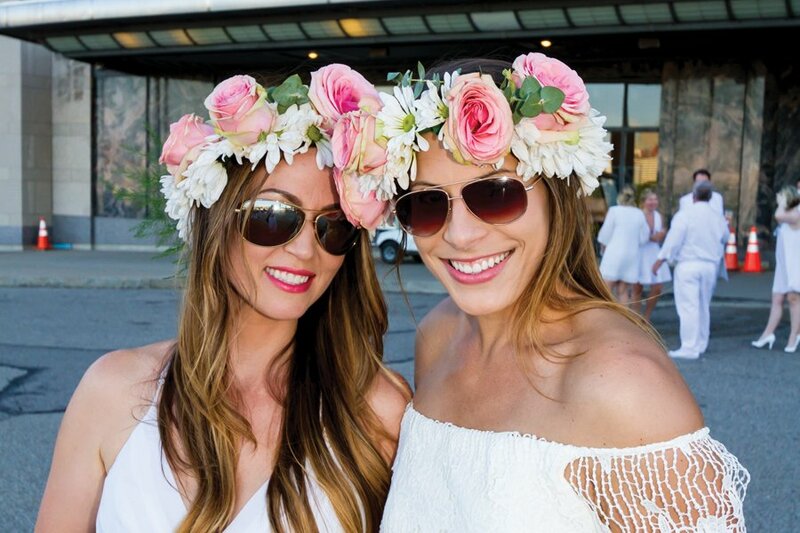 Before the event, guests are shuttled from various locations to the previously undisclosed site, where they join together for an evening of friends, food and beautiful public spaces. 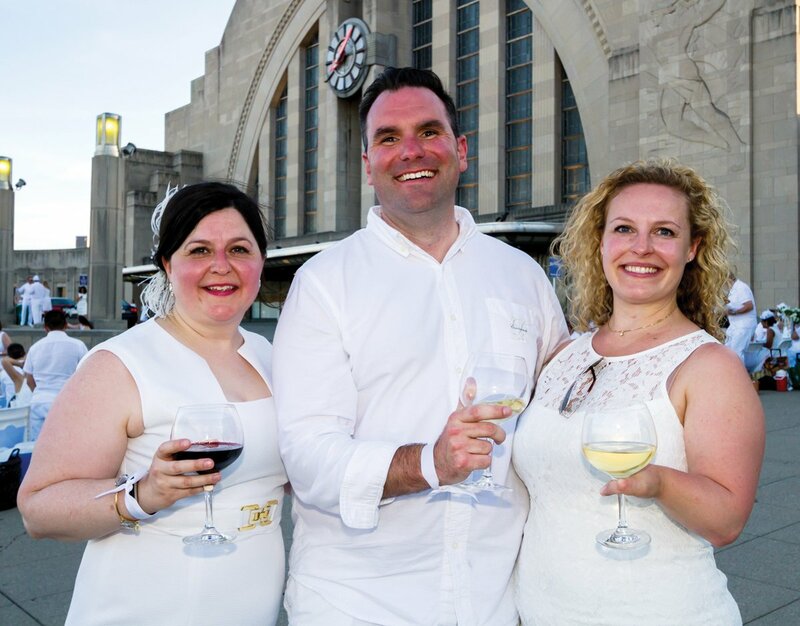 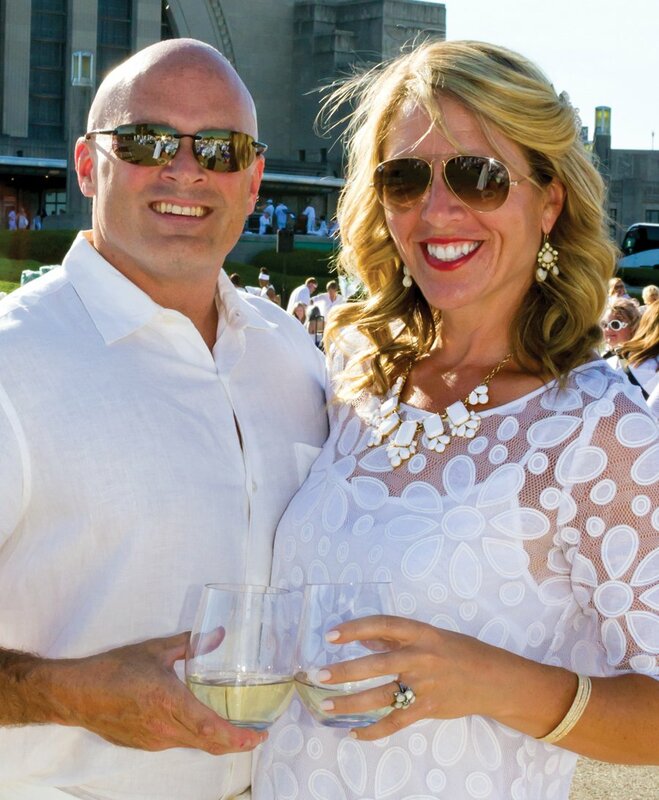 Apothic Wine is the official wine partner of the 2016 U.S. Diner en Blanc series. 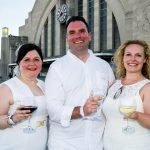 Local sponsors Cincinnati were Macaron Bar, Neal’s Design and Daveed’s.